The latest release on Lonya’s Asymmetric Recordings finds the label welcoming Michael A for his debut EP. The Belarus based artist has had a sensational 2016 with recent remixes for Movement Recordings and Sound Avenue, as well as a soon to be released project for Cid Inc’s Replug Records. Now making his much anticipated debut on Asymmetric, Michael presents his ‘Storm’ EP alongside remixes from Eran Aviner and David Calo. Michael is fresh off several great releases this week, most notably his ‘Dynamics’ single courtesy of his own Genesis Music imprint, along with a remix of Daraspa’s ‘Benevolance’ for Northern Lights Music. On ‘Storm’ we see him go into deeper progressive mode with a moody, captivating gem. Michael’s groove mechanics have become quite distinguishable and they’re locked on form here once again with great rhythmic swing. It’s the intricacies of the mix which really shine though, from the bubbly electronics to haunting vocal elements. They make for an enchanting second act also make the drop all the more impactful. Beautiful work from Michael. 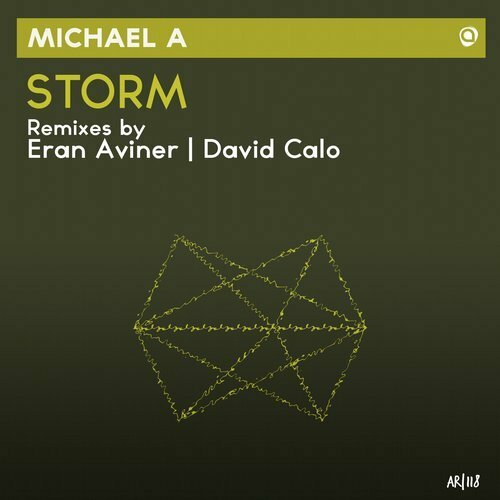 The lone remix of ‘Storm’ is provided by Eran Aviner who is also making his debut appearance on the label. The Belgian artist has a short but meticulous discography with past releases on Hernan Cattaneo’s Sudbeat Music and Guy Mantzur’s Plattenbank Records, while also running one of Belgium’s foremost production companies ‘Edge’. Here he takes ‘Storm’ into deeper, more melodious territory with great results. Backed by a smooth effortless groove Eran adds his own melodic theme which transports the vibe of the original into a dreamier context. A sombre main break brings further emotive depths and it’s anticipatory vibe preludes the spaced out conclusion perfectly. Gorgeous remix from Eran. The companion piece ‘Native’ ups the energy with a full, driving groove and a widescreen drum complement. Again it’s the intricate details here which make the mix, rhythmic elements roll off each other perfectly for a boundless energy and the melodic interlude comes at exactly the right time, with just the right amount of tension to make for a great moment. Another monster track from Michael. Closing the release out and providing the lone interpretation of ‘Native’ is David Calo who makes his first appearance while having previous releases on sub label Asymmetric Dip. The Argentinean artist brings a more techno inspired approach with a tough, deliberate groove and dark, dubby rhythms. Reprocessed vocals add a psychedelic flair and a bevy of great transitions keep the energy quite high. The main break brings perhaps the most dramatic moment on the release with a very ominous soundscape, while a sheet of white noise reignites the groove for a big moment. Great remix from David and another brilliant release for Lonya’s Asymmetric Recordings. Don’t miss it.